Receptivity of places and populations to the introduction of a microbe by a traveler varies greatly. Many infections require the presence of a specific arthropod vector, such as a mosquito, to support the replication and development of the microbe and to carry it to a susceptible host. Others require a specific animal, such as a rodent, as a reservoir host. Animals such as birds, pigs, and others may serve as an amplifying host - i.e. an animal in which a microbe can replicate to such a level that it can be transmitted, often via an arthropod vector. Environmental conditions (e.g. temperature, humidity, and rainfall, among others) have a profound effect on the survival and abundance of many vectors and reservoir hosts. West Nile Virus (WNV) became established for the first time in the Western Hemisphere in 1999 in New York, and has since spread across the United States, into Canada, Mexico, Central America, and the Caribbean. Whether the virus initially arrived in an infected person, bird, or mosquito, the virus found a congenial environment in which to persist and expand its geographic reach. Already in place were abundant mosquitoes of multiple species that were competent to support its growth and had frequent contact with humans. Dozens of species of birds were susceptible, and hundreds of thousands of birds died from WNV infection. Crows seemed especially vulnerable. In fact, dead-crow density was used as a marker for the arrival of the virus into new regions, as deaths in birds were often observed before human cases were diagnosed (Eidson et al., 2001). The physicochemical environment may influence the presence or absence, variety, and abundance of potential vectors and reservoir hosts. Additional factors also affect the receptivity of an area or population to the introduction of pathogens (Wilson, 1995b). These include housing, sanitation, general living conditions, and education. To become infected, a person must be exposed. Crowded living conditions, absence of sanitation, lack of clean water, poor housing (e.g. absence of screens and doors, lack of good ventilation), lack of knowledge regarding preventive measures, and close contact with animals (including rodents, pets, and food animals) all increase the probability of exposures to microbes that are transmitted from person to person, from contaminated food and water, from vectors, and from animals. In Laredo (Texas) and Nuevo Laredo (Mexico), two urban areas separated only by the Rio Grande River, researchers found that residents of Nuevo Laredo were significantly more likely to have antibodies indicating recent or past infection with dengue virus, a mosquito-borne infection, than were those of Laredo, Texas (Reiter et al., 2003). Environmental sampling showed that the mosquito vector (Aedes aegypti) was present in both cities, and infested containers were more common on the Texas side. In a multivariate analysis, residences without air-conditioning were 2.6-fold more likely to have a dengue-positive occupant, suggesting that socioeconomic factors were key determinants in exposure to infection (see also Chapter 4). When a human pathogen is introduced into a new geographic region, socioeconomic, political, demographic, and other factors potentially influence the geographic extent of spread and the burden of disease in morbidity and mortality. In general, the poorest populations are the most likely to suffer and die from infectious diseases. In the poorest 20 percent of the world population, communicable diseases led to 59 percent of the deaths and 64 percent of the DALYs (disability adjusted life years) lost, whereas in the richest 20 percent communicable diseases accounted for only 8 percent of the deaths and 44 percent of DALYs lost (Gwatkin et al., 1999). In some instances, however, individuals who are extensively connected because they have resources that allow them to travel may be more likely to come into contact with unusual pathogens. In fact, in some countries, such as Tanzania and Kenya, household wealth is positively associated with HIV prevalence (Shelton et al., 2005). Wealth may be associated with mobility and resources to maintain social interactions and concurrent sexual partnerships. In any country, availability of a strong health-care system and wide access to medical resources make it more likely that a disease will be recognized early and diagnosed. Access to treatment may limit morbidity and mortality, as well as spread of infection. Transparency about reporting infectious diseases and the capacity to organize and support appropriate public health investigation and response may limit the impact of an introduced infection. Social support may also be important in the successful completion of treatment for infections that require prolonged therapy, such as tuberculosis. Potential receptor populations differ in size, density, location, mobility, vulnerability, and demographics (Wilson, 2003b). The human population today is larger than ever in history, and more urbanized, with about half of the world's population now living in urban areas. The populations that are growing the most rapidly are urban populations in developing countries - typically in low latitude areas. Large periurban slums surround many of these megacities that are linked to the rest of the world by air travel. Two types of vulnerability that characterize populations today (in addition to undernutrition, mentioned below) are AIDS and aging. Both make populations more vulnerable to a variety of infections. 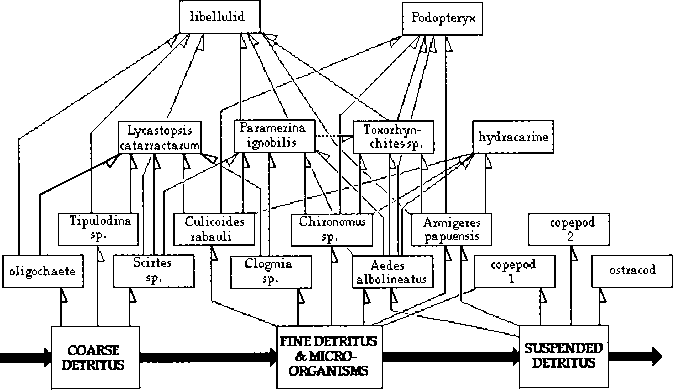 In addition to the mechanisms noted above, populations can be completely or relatively resistant to the introduction and establishment of a microbe because of innate or acquired immunity. 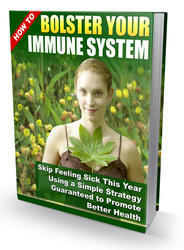 Levels of immunity may be high because of past infection or immunization. Levels of immunity to hepatitis A are high in many developing countries where most people are infected at a young age because the virus circulates widely. Paradoxically, as socioeconomic status and sanitation in a country improve, outbreaks in older children and young adults begin to occur because exposure has not occurred at a young age (Jacobsen and Koopman, 2004). Hepatitis A as a cause of outbreaks becomes more visible because of the shifting upward of the age at which infection occurs. 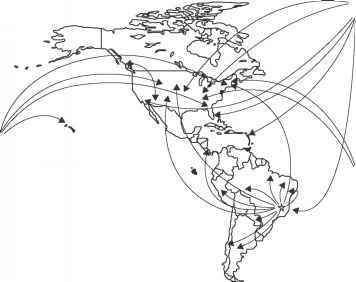 Figure 1.6 Measles importations into the Americas, 1997. From de Quadros et al. (2004). resident traveler. Genetic factors can influence susceptibility to infection or its expression, though for most infections this is not well defined. Nutritional status can influence outcome of infection and may determine the burden from infection in a population. Globally, undernutrition and micronutrient deficiencies are a leading cause of health loss and contribute to deaths from many infections, including malaria, measles, diarrhea, and pneumonia (Ezzati etal., 2002). The immune deficiency that accompanies HIV infection has led to recognition of infections previously undefined. As a sentinel population, their infections have also helped to chart the presence and geographic distribution of infections that may have previously gone unrecognized. Because of the potential for late reactivation of latent infections, such as visceral leishmaniasis, Chagas disease, and tuberculosis, it is important to review the history of travel and past residence of HIV-infected individuals. Some types of immune deficiency can predispose to prolonged excretion of live vaccine-associated poliovirus (MacLennan et al., 2004). Virulent vaccine-derived poliovirus has caused cases of paralytic polio in several countries (China, Egypt, Haiti, Madagascar, and the Philippines) (Kew et al., 2002). In March 2005, a 22-year-old woman from Arizona contracted paralytic polio caused by vaccine-derived poliovirus (CDC, 2006a) after travel for a study-abroad program. In Costa Rica, she had had contact with an infant recently vaccinated with live oral poliovirus. She was unvaccinated against polio because of a religious exemption. Cases of vaccine-associated paralytic poliomyelitis (VAPP) had occurred in the past in the US, but no cases had been reported since 1999. The ongoing movement of poliovirus is further highlighted by events in the US. In September 2005, vaccine-derived poliovirus was found in an unvaccinated, immunocompromised infant in Minnesota (CDC, 2005c). Another four other children in the community also had asymptomatic infection. The virus differed about 2.3 percent from the parent Sabin vaccine strain, suggesting that it had been replicating for about two years and most likely originated from a visitor to the US who had received OPV elsewhere. Neither the infant nor the family had traveled internationally. Dengue fever is an example that illustrates the interplay of multiple factors in the emergence and spread of an infection (see also Chapter 4). Dengue, a flavi-virus transmitted by Aedes mosquitoes in tropical and subtropical regions, is increasing in incidence and in geographic range. An estimated 100 million cases of dengue fever and 25,000 cases of dengue hemorrhagic fever (DHF), and 25,000 deaths, occur annually (Gubler, 2002). Four serologically distinct sero-types exist. Because infection confers immunity only to the infecting serotype, a person can be infected up to four times. Having had prior infection with a dengue virus increases the likelihood of severe dengue fever (hemorrhagic fever or shock syndrome) if there is then infection with a different serotype. Viremic travelers are essential for the movement of the virus from place to place. The incubation period (usually 2-7 days) allows a person to move to another location before infection manifests. If mosquitoes competent to transmit dengue are present and one or more bite the infected person at the time the virus is in the bloodstream (median of 5 days but range of 1-12 days) (Gubler et al., 1981) and survive to transmit the virus to another human, infection can be established in a new area. The main mosquito vector, Aedes aegypti, is well adapted to the contemporary urban landscape. It breeds well in discarded plastic cups, flower pots, used tires, and other urban litter, it prefers human blood, and it enters homes. Among the multiple reasons for the increase in dengue globally are: increased regional and global travel (including especially travel to tropical and subtropical areas) and trade; poor vector control and pesticide resistance, which has allowed expansion of the areas infested with Aedes aegypti; poor housing (absence of screens, doors) and water supply (water stored in containers that are good breeding sites for mosquitoes); growth of urban populations in tropical areas globally; and increase in number of urban areas that have reached a population size sufficient to sustain the ongoing circulation of dengue viruses. Over the past two centuries, the number of dengue lineages has been increasing roughly in parallel with the size of the human population. In addition, another competent vector, Aedes albopictus, the Asian tiger mosquito, has also been introduced into a number of countries. In the US it was introduced in 1985, probably via used tires shipped from Asia, and has subsequently spread (Moore and Mitchell, 1997). Its dispersal followed interstate highways. It was the mosquito vector responsible for an outbreak in Hawaii in 2001 (Effler et al., 2005). Phylogenic analysis found that the Hawaiian virus was similar to contemporaneous dengue isolates from Tahiti, suggesting that viremic travelers introduced the virus from the South Pacific. In some dengue-endemic countries, such as Thailand and Vietnam, epidemics tend to occur in cycles of every three to five years, postulated to be because of the introduction of new genetic variants with greater epidemic potential and virulence. In an analysis that modeled data from 850,000 dengue infections from 72 provinces in Thailand during the period 1983-97, Cummings and colleagues found a spatial-temporal traveling wave in the incidence of DHF (Cummings et al., 2004; Gubler, 2004). Furthermore, they found that the wave started in Bangkok, the largest city, and moved radially at about 148 km per month. Although all four serotypes are continuously present in Bangkok, smaller communities may experience periods without infection from specific serotypes. In epidemic years, a lag of 10 months may occur before outbreaks develop in some areas. It suggests that dense urban centers are the genesis of viruses that cause epidemics that then migrate (in humans) to surrounding regions.